Real CF Heat U15G makes history again! 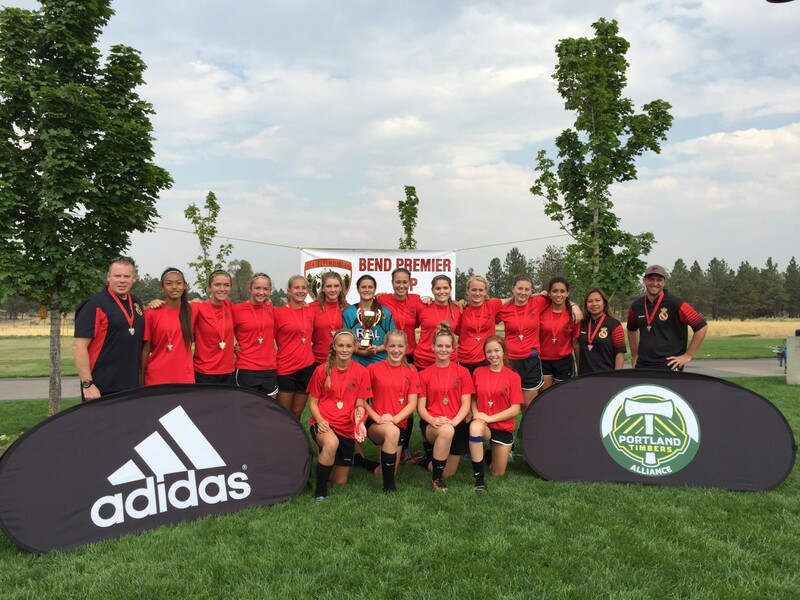 CONGRATULATIONS are in order to our fabulous U15G Real CF Heat team by taking their first out-of-state title by being crowned the 2015 Bend Premier Cup Champions for U15G. The team was lead by Co-Capt’s Emilia Landa and Victoria Hommel. Team Heat was down 3-1 in the championship match, when outside midfielder Rylee Simpson put in the equalizer, then minutes later, Emily Wright finished the deal with a winning goal late in the second half thus capturing the U15G title from Portland’s Eastside Timbers 4-3. The coaching staff is incredibly proud of these amazing young ladies who continue to set the bar higher and higher. This is the third tournament championship for Team Heat since playing under the Real banner last fall. Madison McFate had five halves (180 minutes) of shutout goal keeping. Congratulations again Real CF Heat, you are an amazing team!